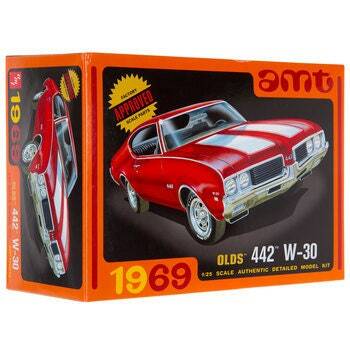 Build the vintage ride of your dreams with 1969 Olds 442 W-30 Model Kit. This kit has factory approved scale parts which make a detailed design with optional parts so you can make it to fit your style. Assemble, display, and complete your collection!